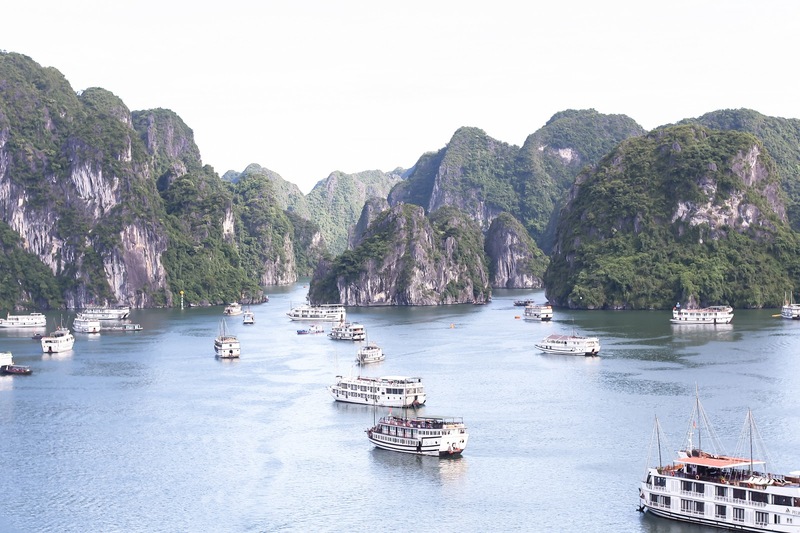 One of the main reasons I visited Vietnam is because I wanted to visit this world heritage site, Ha Long Bay. 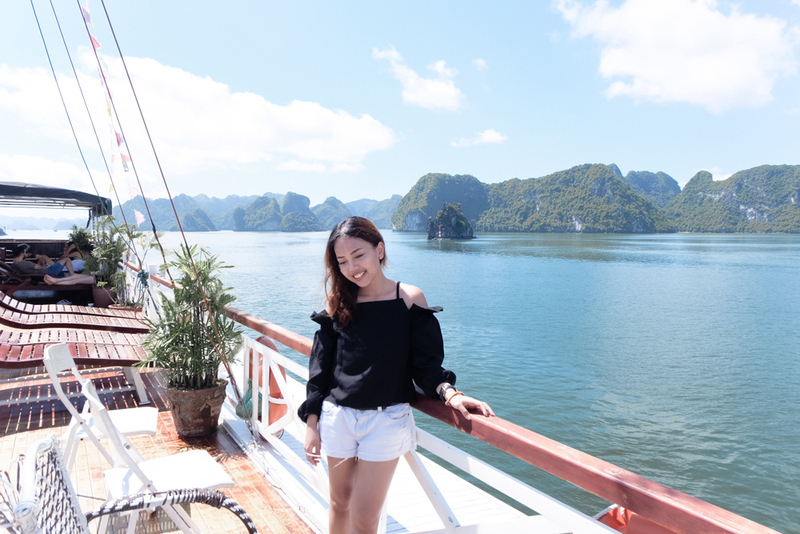 Little did I know that going to Ha Long Bay itself would take about 4 hours from Central Hanoi. Nevertheless, the view and experience is really worthwhile! 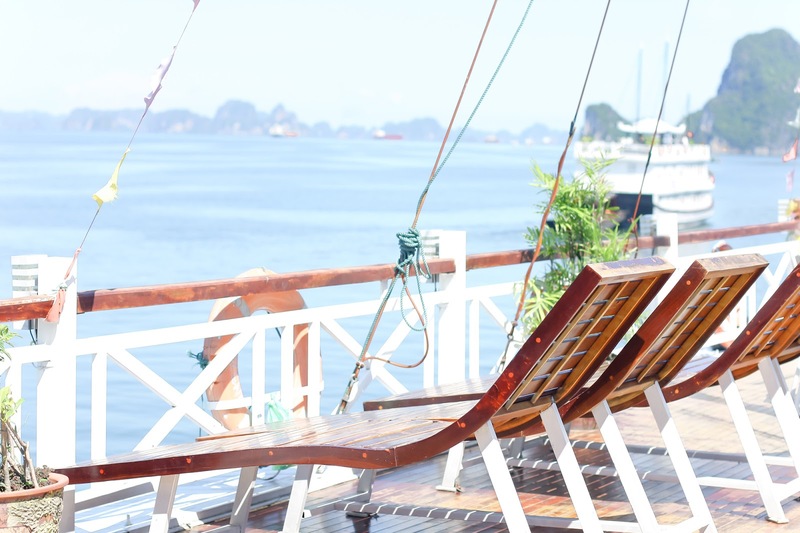 Cruise business is huge in Ha Long Bay. Upon reaching the harbour you can see plenty of cruise boats in variety of sizes and design, from the smaller boat to bigger ones. 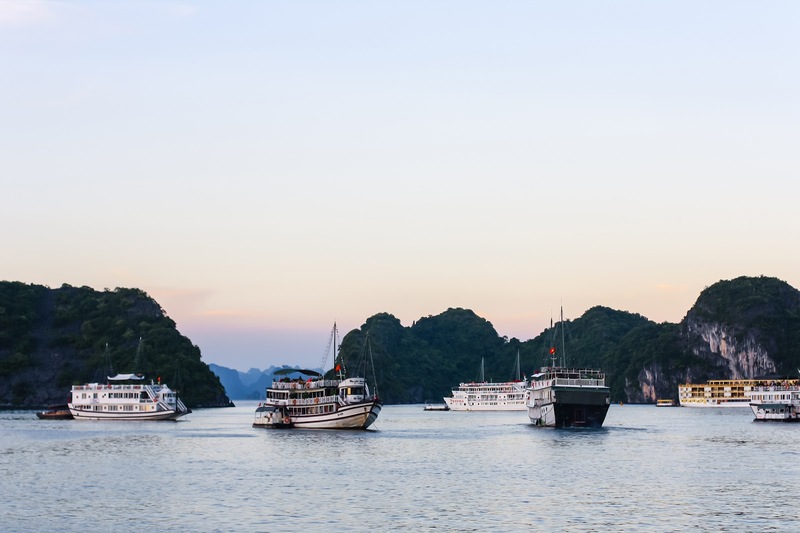 We booked the cruise before reaching Ha Long Bay with Ha Long Imperial Cruise as recommended by a friend of mine. 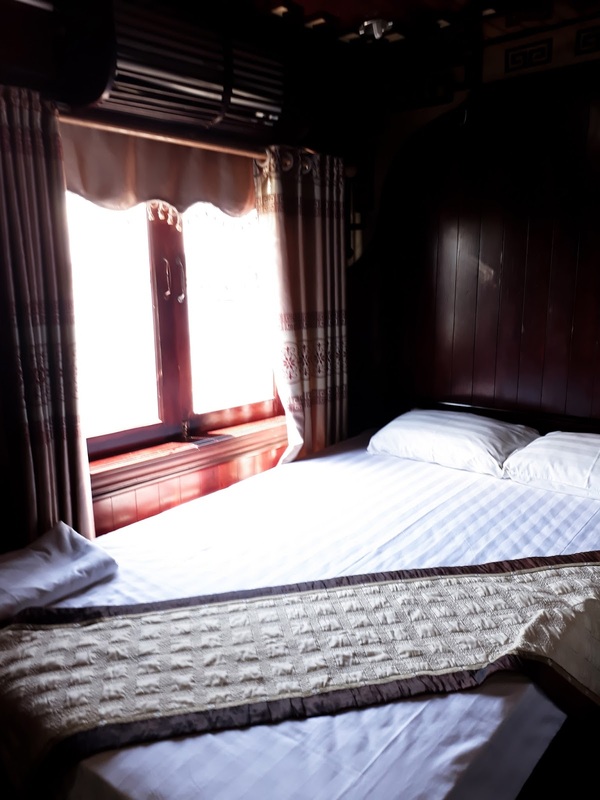 We were picked up at our hotel by bus which went along the route of Hanoi Old Quarter. The total journey to Ha Long was about 4 hours with an hour break in between. The price is very reasonable and they have medium size boat with great amenities. Most of the cruise has an ensuite bathroom in each room, so it is really convenient, just like a hotel room. The boat has 2 level with a total of about 10 rooms and the total participants were about 20 people. On the top of the boat was a sundeck area - my favourite part! I thought the cruise would be such a relaxing one, but apparently, the tour company has arranged so many activities for us. We had lunch upon arrival and I feel like we were too well fed. There are about 6 menus on our table and it came in such a huge portion. After lunch, we went to prepare ourselves as we are going to Ti Top Island. 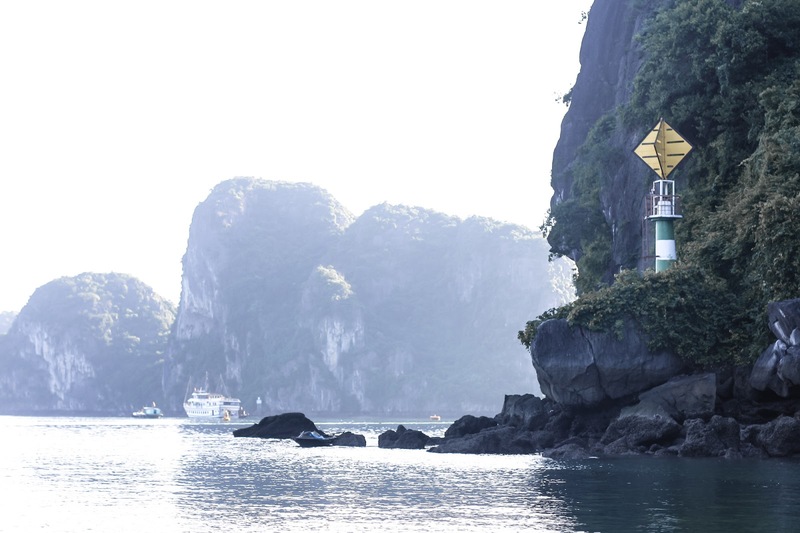 Here you can do a little hiking through the stairs and have 360 degrees view of Ha Long Bay. We did not stay long as we are going to do Kayaking. This was my first time paddling the Kayak. It was tiring but fun, good for your arms muscle. We did about 45 minutes of Kayaking then we returned to our boat as we drift away to the middle of the ocean. The boat will then stop to let us swim. After finishing all of the activities, we had our free time, to sunbathe, chill, took a bath before dinner. Again, dinner came in a huge portion! 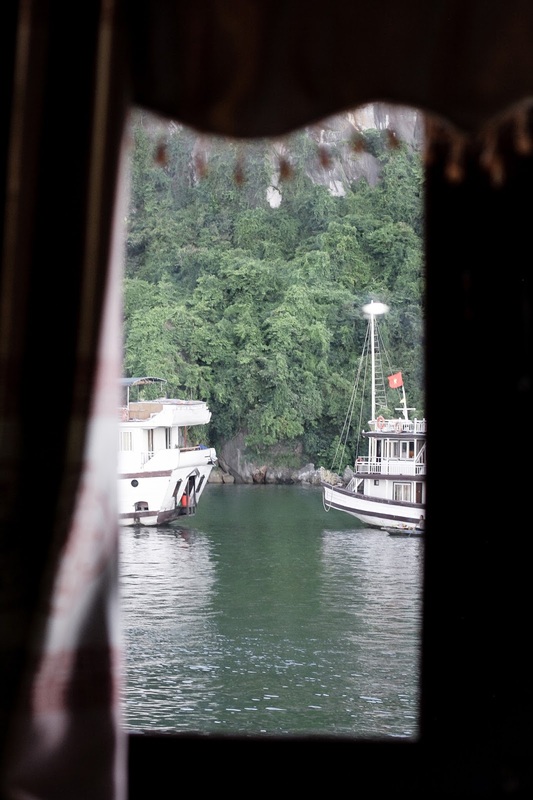 The night in Ha Long Bay was breezy. It was quite a clear night so we could see some stars upon the sky. We are lucky cause there wasn't rain nor fog. The next morning, we had our breakfast then went off for some cave exploring. It was a bit misty as we headed out at 8am in the morning. Everything was so quiet and serene. It was also my first time going into a cave and it was beautiful. 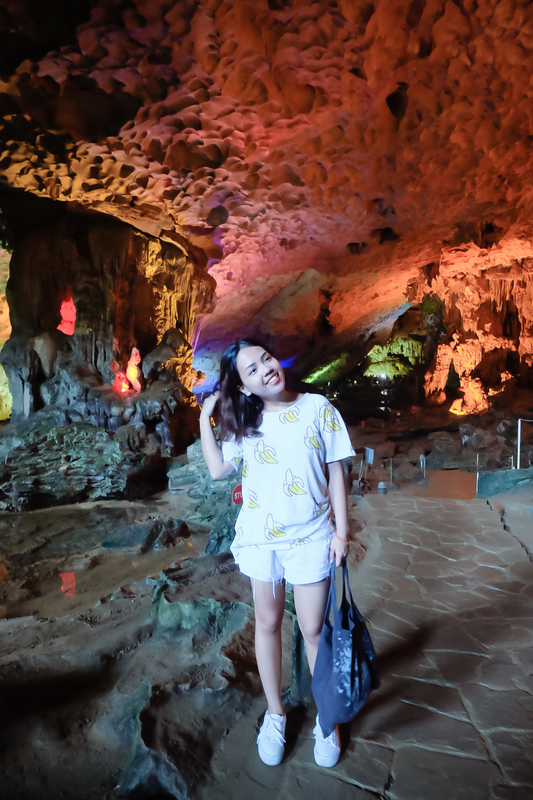 The cave was well maintained and designed. It has a designated path for us to walk along and exploring the entire section. 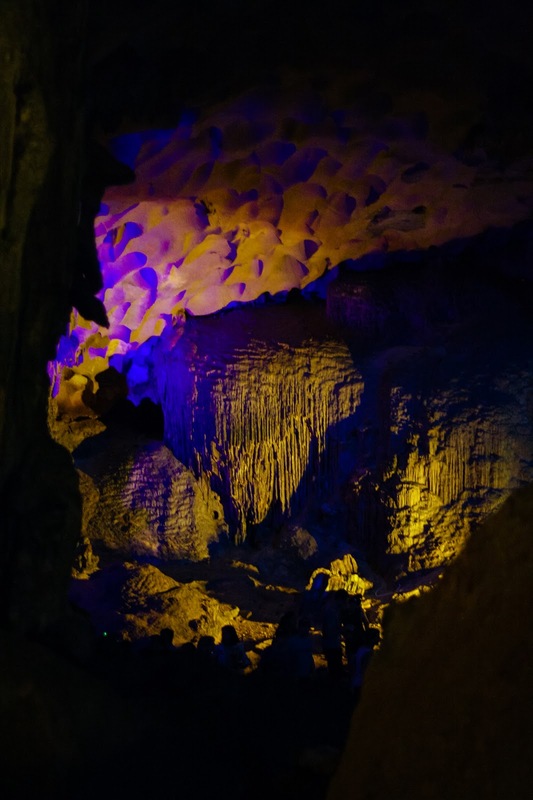 This limestone cave also had some lights for decoration. Next, we were sent back to our main boat then prepare ourselves for the checkout. Two days on the boat seem to be so fast! 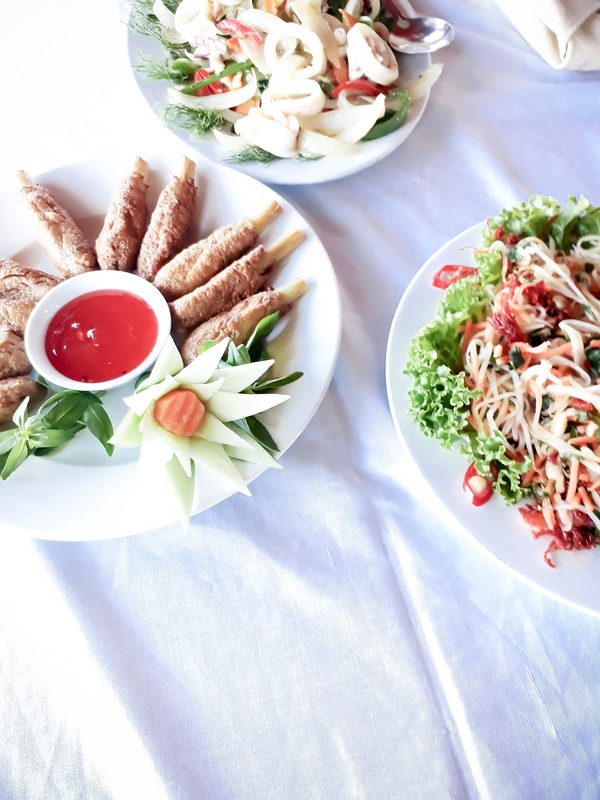 During lunchtime, we were also making our own uncooked spring roll filled with meat and veggies. Finally, the boat was sailing toward the main harbour while we had lunch. 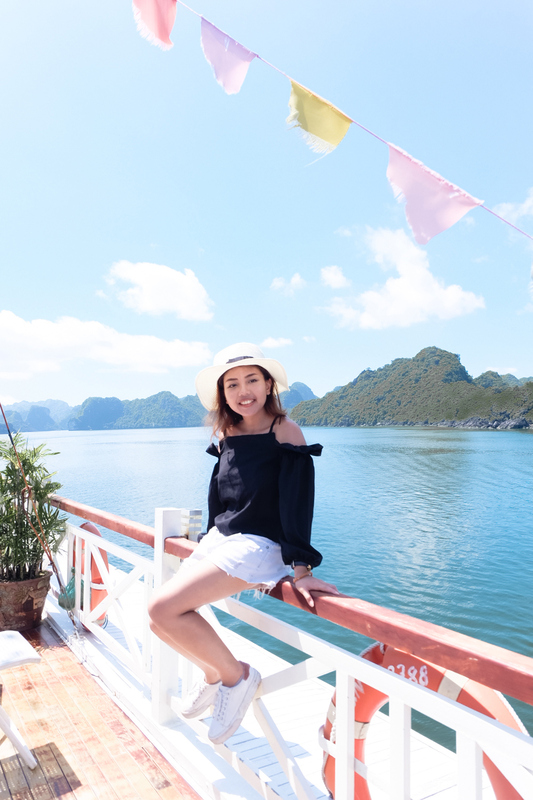 Overall, I really love the experience of the Ha Long Bay cruise. Somehow I wished we stayed a bit longer so we can chill more. Nevertheless, the activities were fun and quite new to me, so I enjoyed it as well. wow its a truly beautiful place! The second shot and the food pic <3 which camera do you use? Very pretty photos of scenic views! This is such a cool experience even though it was only for two days. I haven't yet been on a cruise and would really enjoy it! 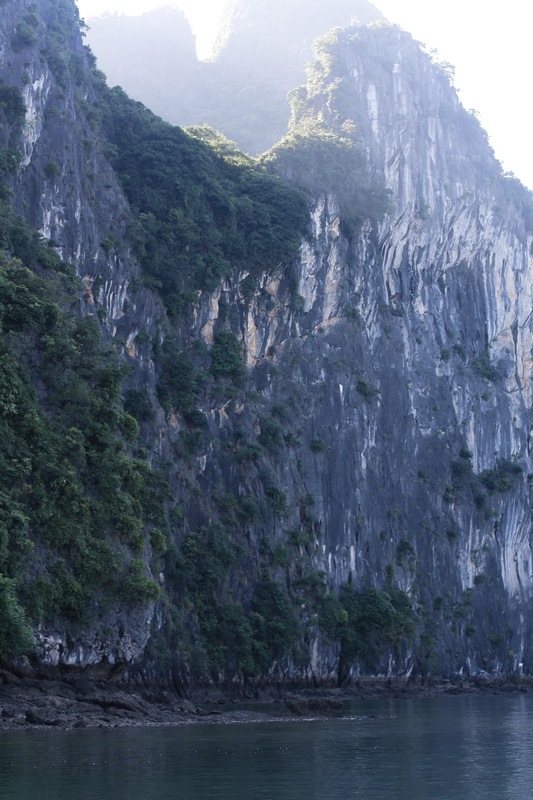 I had no idea Ha Long Bay was 4 hours away from Hanoi. Definitely worth the travel though. What a gorgeous view!